Flat batteries are everyone’s worst nightmare, but with the Battery Master – Advanced Battery Balancer – they should be a thing of the past. 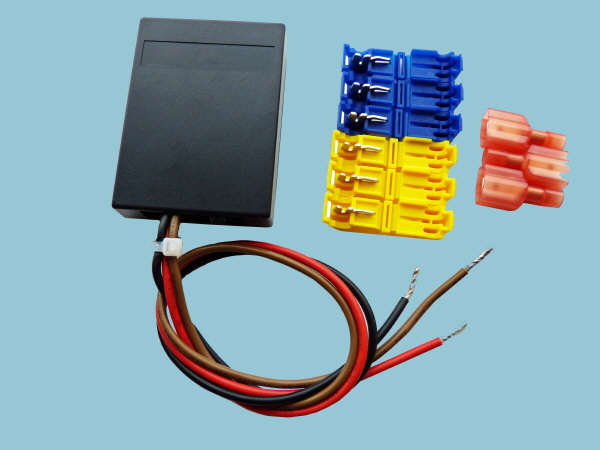 You can now easily charge your engine battery from mains hook-up with the Battery Master. Our specially designed, fully waterproof, resin bonded product will monitor the engine and the leisure batteries constantly and whenever the engine battery needs a ‘boost’, Battery Master allows a safe and regulated controlled charge. Built-in automatic regulation and fusing ensures a safe and efficient 1.1 amp ‘trickle charge’ making it totally safe for all electrical components and any motorcaravan. Have this British Made product fitted to your motorhome or boat and forget the battery blues. Many motorcaravans and boats are left for long periods especially in the winter months. During this time when the motorhome is not in use, the drain on the battery from the equipment fitted (clock, bilge pump,memory for the digital radio, flashing security lights and security systems) can be fatal for a vehicle battery. Many people simply do not know that if a conventional battery is left to go flat, it will never be the same again and, in most cases, should be replaced. Although none of the items mentioned above draw very much current it is, however small, significant over a period of time. Add to this the fact that a lead acid battery (conventional type) will naturally lose power when left. It is also fair to assume in this day and age that when you buy a sophisticated motorcaravan or boat that has a built-in charging system for the leisure battery this will also take care of the engine battery, however, the sad fact is that most converters do not make any provision for this. The main reason that the charging system in the motorhome for instance is not wired to charge the engine battery is the serious risk of damaging the electrical components in the engine. This is why it is common knowledge that you must disconnect the engine battery terminals before attempting to charge the battery. Battery Master completely eliminates this problem electronically taking excess current from the leisure battery filtering out anything nasty and regulating the charging current to an acceptable 1.1amp. Question: Will Battery Master work with a solar panel? Answer: Yes, most certainly. It could have been made for it. As the solar panel increases the voltage in the leisure battery, so the excess charge is stored away in the engine battery. Question: Will it work the other way and flatten the engine battery? Answer: An emphatic NO. Battery Master will only take power from the leisure battery, never the other way around. Question: Will it work without mains hook-up? Answer: Yes. It is designed that when the engine battery drops half a volt below the leisure battery, Battery Master automatically adjusts the charge and tops up the engine battery. Question: Does this mean that I could leave my van for longer in the winter without the fear of a flat engine battery? Question: Is it easy to fit? Answer: Anyone who understands basic 12 volt circuitry can fit it. Average fitting time ½ - 1 hour. Once installed, it is completely automatic in operation. The only maintenance required is an occasional check to ensure that none of the cables are chafing or being damaged by heat.